While the Mooring Lines model and the Wave Absorbing layer are two separate developments in FLOW-3D v11.1, I am going to talk about both in this post because users will often use them together in simulations. 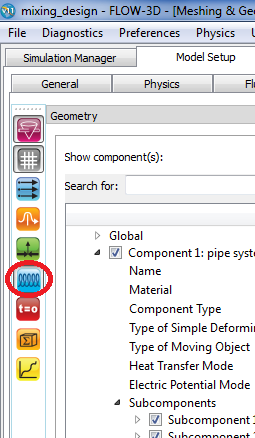 The development of the Wave Absorbing layer in FLOW-3D v11.1 was prompted by the need to minimize wave reflection at open boundaries of the simulation domain; while extensive use of mooring lines in ocean engineering led to the development of the Mooring Lines model. Although these developments can be used hand in hand, completely independent use of each is also possible. Mooring systems are common in offshore structures, ship mooring and renewable energy harvesters. A mooring line can extend to thousands of meters, so the effects of mass and fluid drag cannot be neglected. FLOW-3D v11.1’s new model accounts for these effects to calculate the dynamic behavior of the system. Combined with FLOW-3D’s General Moving Object model and free-surface flow capability, FLOW-3D provides a highly-accurate computational solution to cases involving dynamic movement of objects such as a US patrol boat (simulation 1) or a semi-submersible offshore platform (simulation 2), tethered to mooring lines in a body of water. Simulation 1. Movement of US patrol boat (digital model only) tied to four mooring lines in presence of the waves. What is special about the Mooring Lines model? The Mooring Lines model considers gravitational and buoyant forces, elastic tension, and normal and tangential drag forces. A mooring line is divided into discrete segments for numerical integration of the dynamics equations. Additionally, mooring lines can exist below the computational domain, reducing the requirement of extending the computational mesh all the way to the depth of the water body. For this a Deep Water Velocity (Figure 3) feature is available to capture flow effects on the portion of lines outside the computational domain. A feature called Confined Space (Figure 3) allows the mooring lines to lie on the ground after a certain defined depth inside the computational domain. Figure 1 shows the mooring lines that partially lie on ground. Figure 1. The original line length is 100 m but after 70 meter depth it lays flat on ground. A wave damping algorithm has been added to help minimize surface wave reflection from open mesh boundaries and their interference with the solution. Simulation 1 and Simulation 2 have Wave Absorbing layers at the outflow boundaries (where waves are leaving the computational domain). Where can I find the new developments? Mooring lines can be added through the Springs and Ropes window in the Meshing and Geometry tab as shown below. The original Springs and Ropes Model is still available for users. Figure 2. 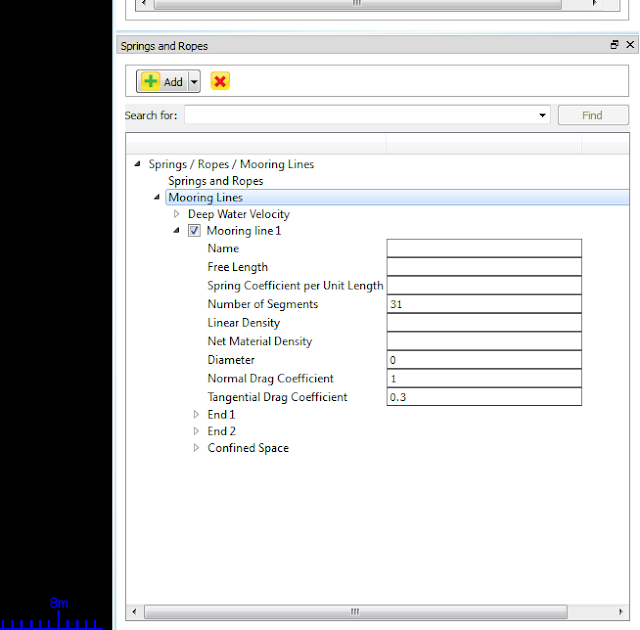 Accessing Springs and Ropes model in Meshing and Geometry tab. 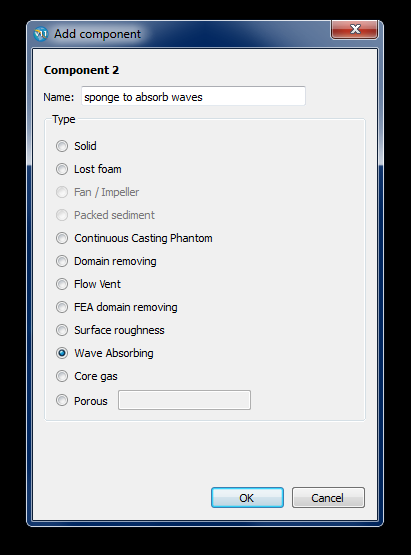 In the same way that users define a component type as a solid, lost foam, etc., they can now define the component as a Wave Absorbing type (Figure 4). Wait, how do the Springs and Ropes and the Mooring Lines model differ? The Springs and Ropes model assumes that the ropes are weightless and always straight when stretched; rope tension is uniform; and rope dynamics is ignored. The Mooring Lines model calculations do not use these assumptions. Having said that, a user may still find the Springs and Ropes model useful if the conditions fall within the assumptions of the model. To demonstrate the power of the model, a simulation of a semi-submersible offshore platform tethered to the sea bottom was set up. This platform is tethered by twelve high modulus polyethylene (HPME), SK78 EA mooring lines rated at 630 tons minimum breaking load rope. A severe sea state with 10 meter high non-linear propagating waves is defined. Remember that we have used a Wave Absorbing layer at the outflow to nullify the reflecting effect of these non-linear waves at the boundary. The mooring lines created for this simulation are high modulus polyethylene ropes rated at 630 tons minimum breaking load with a linear density of 5.1 kg/m and diameter of 105 mm. A total of 12 mooring lines are used in the simulation and are coupled in groups of 3 (red, green and blue). There are 4 such groups in the simulation. These groups are referred as quadrants in the simulation. If groups are in order from left to right in the simulation view, then quadrant 1 refers to the leftmost group (group 1) in simulation view, quadrant 3 corresponds to group 2, quadrant 2 corresponds to group 3 and quadrant 4 corresponds to the rightmost group (group 4). Shown in the animation are the moored platform and the maximum tensile force on one mooring line from each quadrant. The tensile force on all 12 mooring lines could have been plotted but in order to keep the plot visually readable, only one line from each quadrant is plotted. An interesting observation is that the maximum tensile force is reached in the line listed in quadrant 1. As one would expect, the mooring lines start drifting in the direction of the waves, causing an increase in tension (tautness) of the lines. Simulation 2. Dynamics of a semi-submersible moored offshore platform and the maximum tensile force on one line in each quadrant.